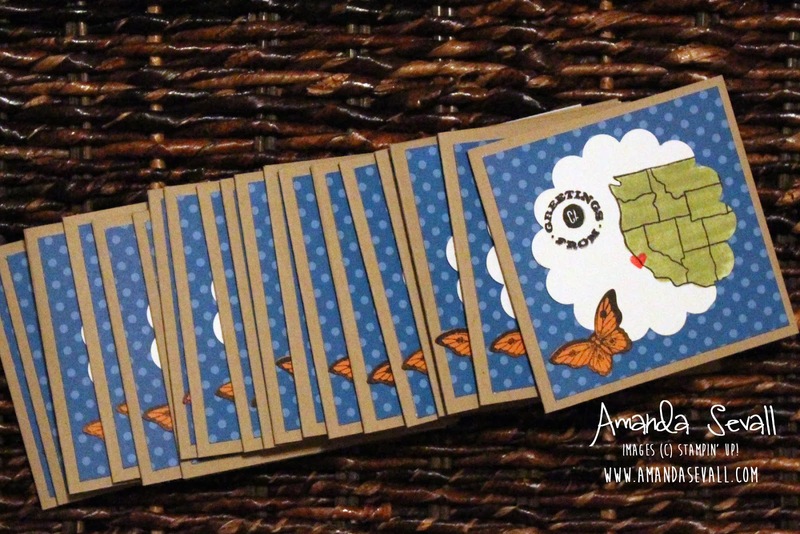 Amanda Sevall Designs: 365 Cards: Greetings to India from California! Earlier this month, I was hired to make some design and make twenty cards for my friend Francis. She spent most of this month in India for Rotary International!! Francis wanted something small that would fit easily into her bags that she could give to her hosts along with some gifts. Something that represented California and the area that we live in. Something with John Steinbeck quotes. So this is what I came up with her!! 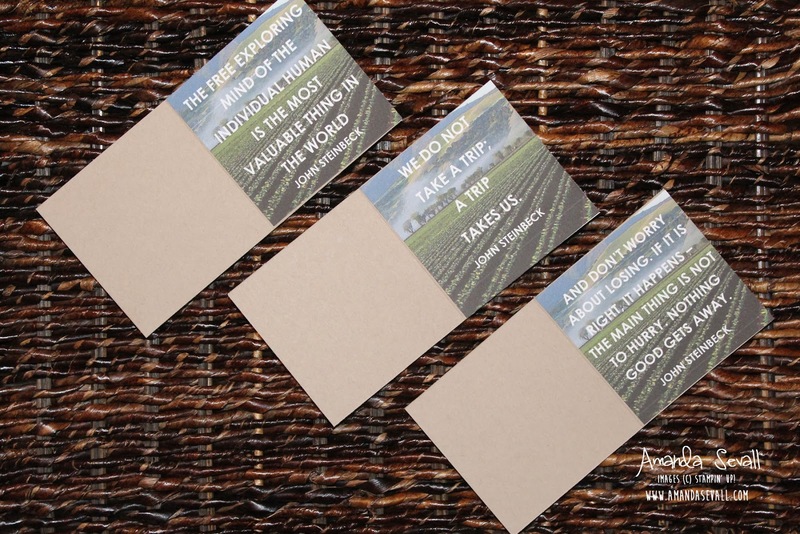 I overlaid the Steinbeck quotes on a picture of the Salinas Valley in My Digital Studio, printed them out on my printer, cut them down to size and glued them to the inside of the card! These were so much fun! I hope that Francis has had the BEST time in India -- I can't wait to see pictures!! My favorite part of these cards ended up being those quotes. The one in the middle is my favorite. Which quote do you like the best? What a cool project and such a great idea to take along for travels like she's doing!